Nails of the day care of Caronia Frosted in Golden Sun. Not my usual nail color. I don't know if shades like this one suit me as well as the reds, pinks and blues I've tried. Still love the shade, though. haven't tried golden shades before but that one is lovely. NOICE!! I've been looking for a nice gold! 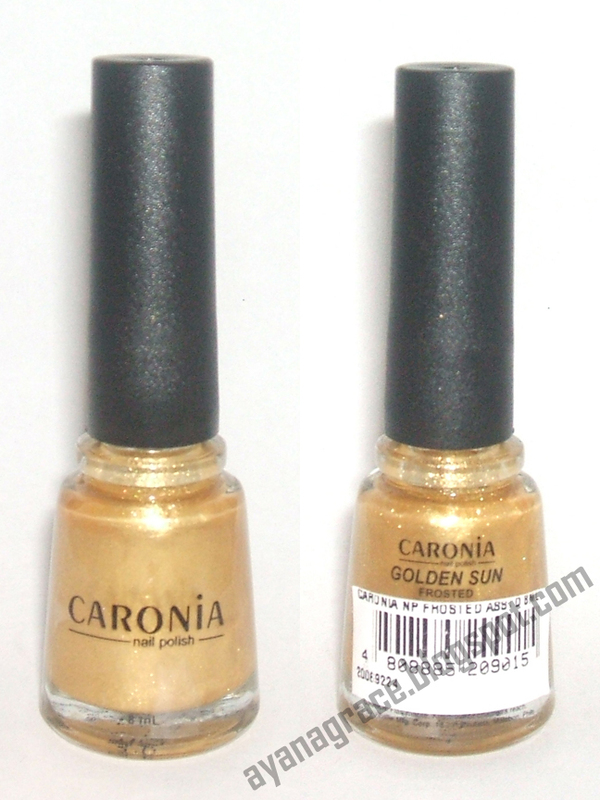 i love caronia!!! :] that gold polish is irresistible i love everthing gold!! it looks good on you aya! :) haven't tried painting my nails. parang i want to consider posting an NOTD na rin LOL :)) see you soon Aya! @Thrifty Fashionista, Caronia ftw! :D Their shades are awesomeee! Yes, gold is right for you. Period. No erase.